2017 Purdue Veterinary Conference is Jam Packed with CE, Networking, and Fun! Attendees at the 2017 Purdue Veterinary Conference will have the opportunity to earn up to 34 continuing education (CE) credits. 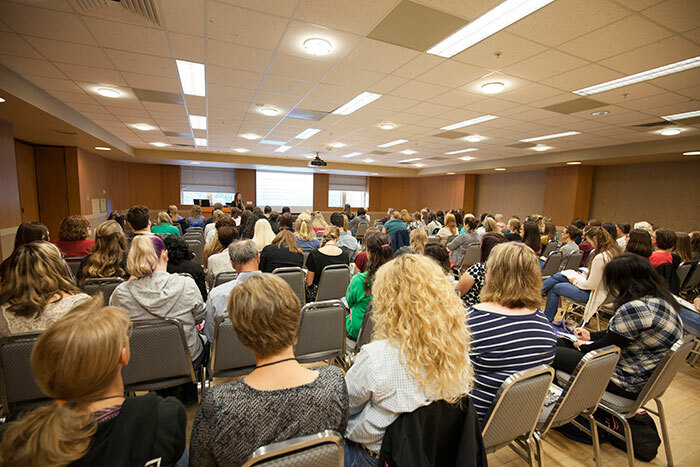 It's the final countdown for the Purdue Veterinary Conference to be held September 19-23 on Purdue University's West Lafayette campus. Registration is still available for the 2017 Purdue Veterinary Conference, Purdue Veterinary Medicine's annual event that provides continuing education (CE) opportunities for the entire veterinary team. Attendees can earn up to 34 CE credits by attending general education sessions including avian and emergency preparedness tracks, as well as tracks for bovine, equine, shelter medicine, small animal, swine, and topics of particular interest for veterinary technicians. Veterinarians and veterinary technicians also will have the chance to receive hands-on training through workshops and labs focusing on avian procedures, bovine reproduction, clinical pathology, radiology, and a vet tech specialty lab on ultrasound. Take a break in between sessions to visit the Exhibit Hall and meet with the amazing vendors on-hand, and stop in the Wellness Room for some much needed self-care including chair massages. New this year, attendees can start the day with sunrise yoga. The low intensity yoga classes will be offered Wednesday through Friday for all skill levels. Once again, USDA National Veterinary Accreditation modules will also be offered Wednesday through Friday during the conference. Attendees will earn one APHIS training unit and one CE credit with each module. Some of the workshops and labs have a limited number of available spaces, so be sure to sign up soon! Click here to view the interactive conference schedule, and sort by speaker, track, or event. The conference line-up also includes a series of special lectures. Kicking-off the series is the Elanco Human-Animal Bond Lecture Tuesday, September 19, in Stewart Center's Eliza Fowler Hall. The talk is free and open to the public and features Dr. Libby Richards, assistant professor of nursing at Purdue University, and Dr. Niwako Ogata, assistant professor of animal behavior in the PVM Department of Veterinary Clinical Sciences. Their talk is entitled, "Human's Best Friend: The Reciprocal Relationship between Human and Canine Health." Conference attendees can enjoy lunch on Wednesday, September 20, and Thursday, September 21, with special mid-day lectures including the Wellness Keynote presented by Dr. Ellen Kossek and titled "Work Life Leadership: Managing Self and Others", which will center on employee well-being and work-life issues for leaders; and the Diversity Keynote, "What is Diversity... in Veterinary Medicine? ", with Dr. Jenifer Chatfield, who will address how diversity and cultural issues in veterinary medicine affect communication and engagement between veterinarians themselves. Finally, Dr. Jim Giles, a retired U.S. Army lieutenant colonel who spent 18 years as a military veterinarian serving across the globe, will present the Dr. Jack and Naomi Stockton Lecture on Thursday, September 21. Dr. Giles's lecture will focus on "The Role and Medical Management of Military Working Dogs in Combat." 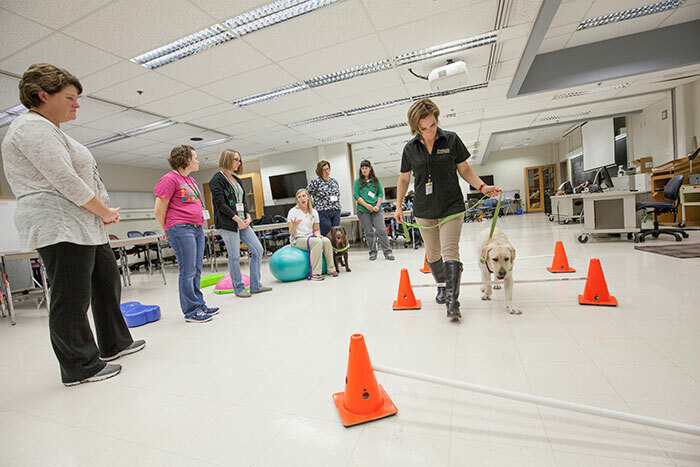 The Purdue Veterinary Conference wouldn't be complete without a host of special events! The IAHF/PVM Golf Outing takes place Tuesday, September 19 with a shotgun start at 12:30 p.m. at the Purdue Ackerman-Allen Course. All funds raised from the event will be used for student scholarships and the support of student activities. Join your Purdue Veterinary Medicine colleagues to honor the College's tremendous alumni and faculty at the Awards Celebration Dinner on Wednesday. Dean's Club members are invited to this special event to celebrate how their financial support contributes to the College's success. 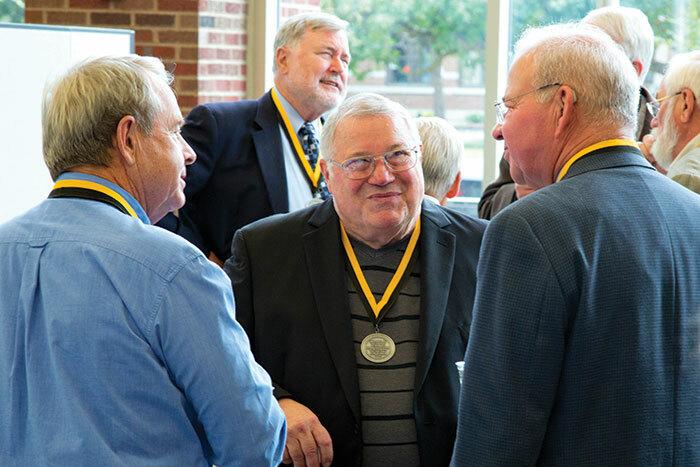 The conference also serves as the College's homecoming with special recognition of anniversary classes, including the Class of 1967 as they celebrate their Golden Anniversary at Thursday's Meet Me @ the Mixer event. Graduates of the classes of 1972, 1977, 1982, 1987, 1992, 1997, 2002, 2007, and 2012 are also celebrating reunion milestones. This year the Purdue Veterinary Conference coincides with Purdue's official Homecoming. Click here to view additional celebrations taking place on Purdue's campus. Cap-off the conference with the Dr. Skip Jackson Dog Jog! 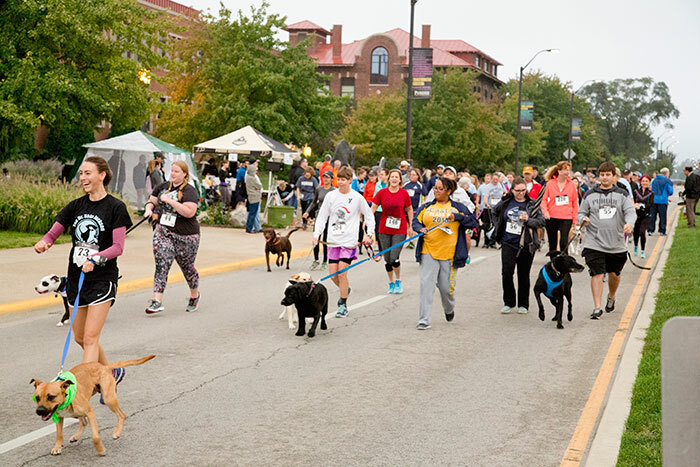 The longest running tradition of the Purdue Veterinary Conference, the Dog Jog is a 5K fun run/walk on Purdue's campus, and will once again partner with area shelters to have adoptable dogs running in the race. Proceeds from the event go to the PetSafe Program and Priority 4 Paws. Click here to learn more and register online. View and sort these activities and more using the Office of Lifelong Learning's interactive schedule online. Sort by speaker, track or event for descriptions and additional details. Click here to visit the 2017 Purdue Veterinary Conference website, or click here to go directly to the Conference registration site. Hurry! Late fees take effect after August 31. Walk-in registration will also be available at the Conference in the Stewart Center, Room 107. The 2017 conference would not be possible without the support of the following sponsors: Elanco, Zoetis, Hills Pet Nutrition, Cook Animal Health, Nutrena, and the Indiana State Department of Health/Indiana Board of Animal Health. 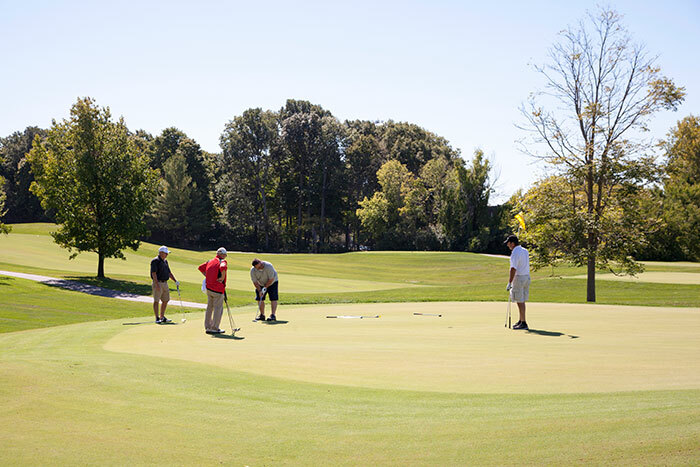 Enjoy a beautiful day outside with fellow attendees and raise money for student scholarships and activities at the IAHF/PVM Golf Outing on the Purdue Ackerman-Allen Course Tuesday, September 19. Receive hands-on training in a variety of specialties with workshops and labs offered throughout the conference. Register soon to reserve your spot! Purdue Veterinary Medicine’s anniversary classes receive special recognition at the Meet Me @ the Mixer event Thursday, September 21. The Purdue Veterinary Conference, serving as the College’s homecoming, coincides with Purdue’s official Homecoming celebration this year. Join in the conference’s longest running tradition with the Dr. Skip Jackson Dog Jog Saturday, September 23.